Peter was spending up to 5 hours each pay period doing payroll for the 30 employees. "It was taking too long, and it wasn't always accurate," says the Richard "Owner of the Company", New York. After Richard hired an outside payroll service (MCBS) to process employee checks, the time he spent on the job dropped to couple of minutes, and the error count fell to zero. Every Monday morning he gives information about each employee's hours by phone to Automatic Data Processing Inc. (ADP) of New York, and checks accurate to the penny are delivered the next morning. "I just tell them the hours, and they take care of the rest," says Richard. Look for a way to communicate with the service that matches your needs. 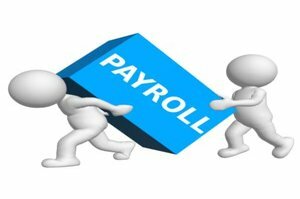 You can send payroll data by phone, by e-mail or over the Internet. Larger companies tend to like Internet and e-mail; small companies may prefer to make a scheduled call and say, "Same as last week." Find an established firm that will stand behind you. Ask if the firm will promise to represent you before the taxing authorities if a mistake is made and pay any penalties that are assessed. Get references, and check them. 1. ADP is the giant of the field, handling payroll for approximately 500,000 companies. ADP also provides companies with employment background checks and other services. 2. Paychex Inc., of Rochester, New York, is another giant in the field, with 490,000 customers. It offers a full array of services, from simple phoning in of employee hours to Web-based offerings including retirement plans and other benefits. For entrepreneurs like Richard, having a payroll service takes a job he doesn't like or do well off his plate. "It allows me the opportunity," he says, "to focus on running the business."